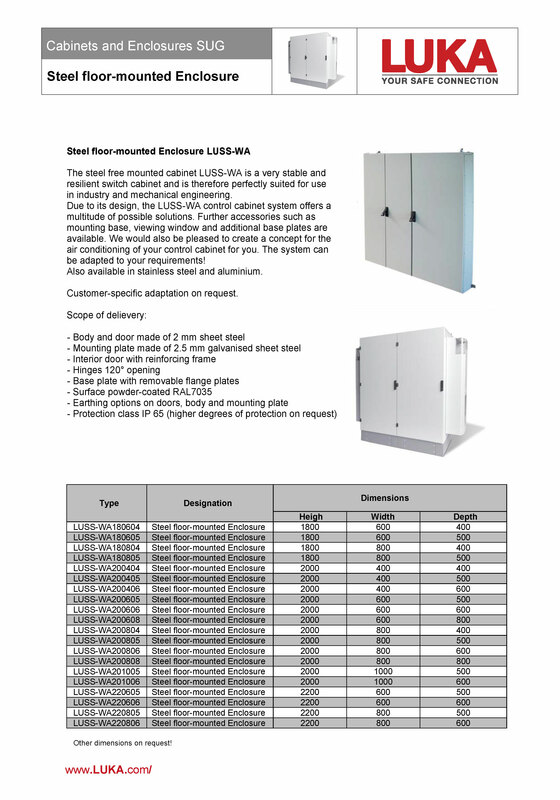 The steel free mounted cabinet LUSS-WA is a very stable and resilient switch cabinet and is therefore perfectly suited for use in industry and mechanical engineering. Due to its design, the LUSS-WA control cabinet system offers a multitude of possible solutions. Further accessories such as mounting base, viewing window and additional base plates are available. We would also be pleased to create a concept for the air conditioning of your control cabinet for you. The system can be adapted to your requirements! Also available in stainless steel and aluminium.